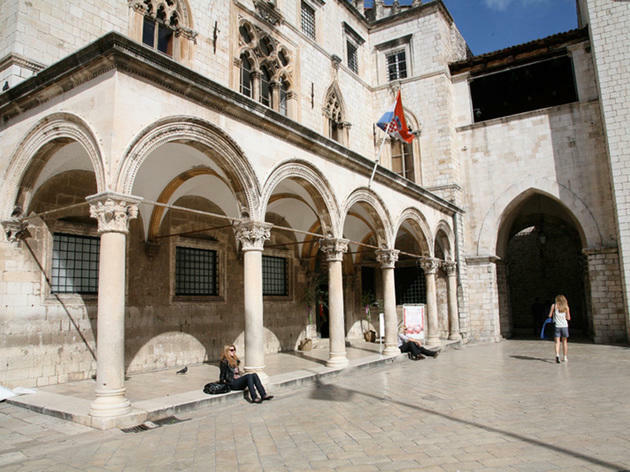 Dubrovnik's glittering past as the Republic of Ragusa means it has several stand-out sights of great historic interest, which combine with its scattering of museums and galleries. 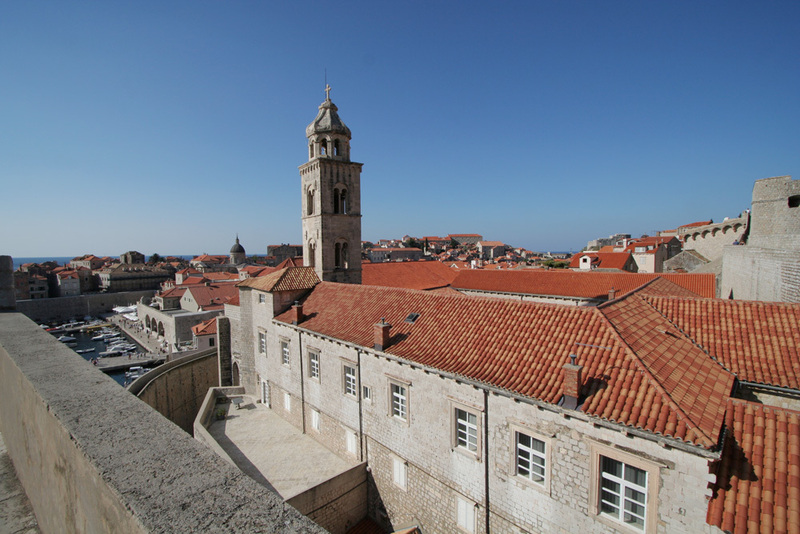 Fascinating landmarks dot the Old Town an easy stroll from each other, perfect for a day's sightseeing. 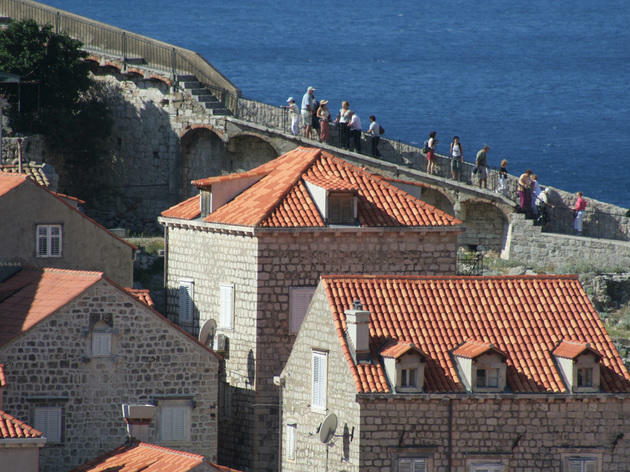 Consider this your Dubrovnik attractions bucket list. 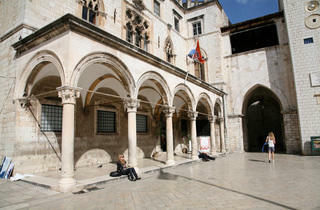 The most historic monument in Dubrovnik, the Rector's Palace was rebuilt twice. The first, by Onofrio della Cava of fountain fame, was in Venetian-Gothic style, visible in the window design once you ascend the grand staircase to the Rector's living quarters. Thereafter Florentine Michelozzo Michelozzi was responsible for the loggia façade. On the ground floor, either side of a courtyard, are the prison and courtrooms of the Ragusa Republic, and a glittering display of medieval church art. 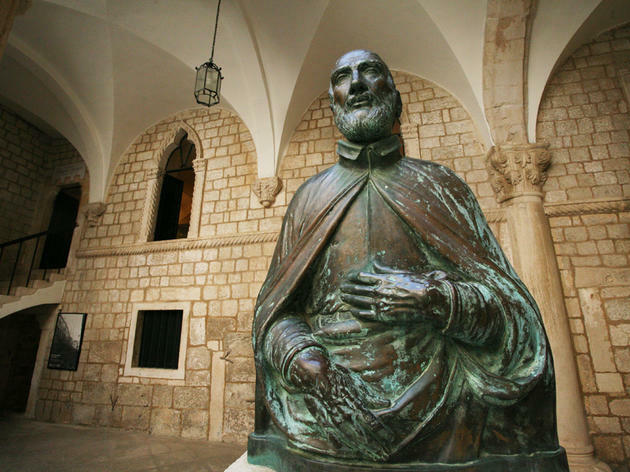 Upstairs, where each Rector resided for his month's stint, is a strange assortment of items: sedan chairs, carriages, magistrates' robes and wigs, portraits of local notables and Ivo Rudenjak's beautifully carved bookcase. One curiosity is the clocks, some set at quarter to six, the time in the evening when Napoleon's troops entered in 1806. The same ticket is valid for the Archeological Collection, a small but attractive collection of medieval carvings as the Rector's Palace) right by Ploče gate. 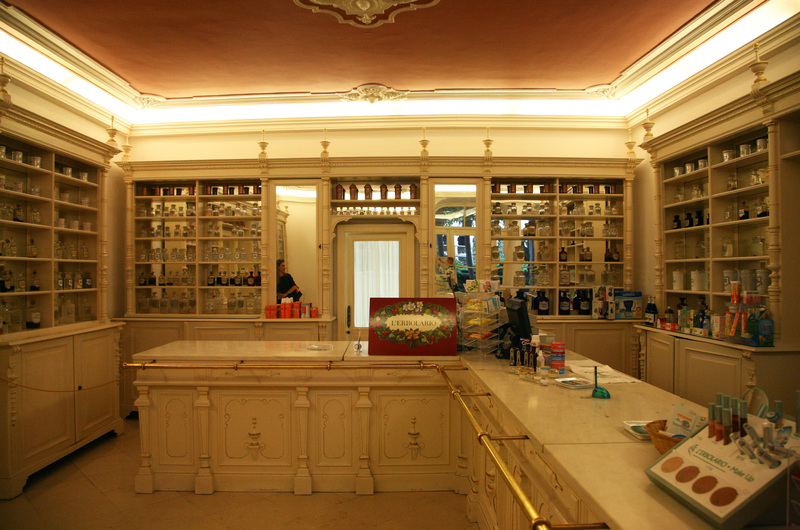 The attractive, 16th-century former customs house and Ragusa mint is used to house the extensive state archives. Several rooms off the arcaded groundfloor courtyard are used to display photocopies of the archives' most treasured historical documents. 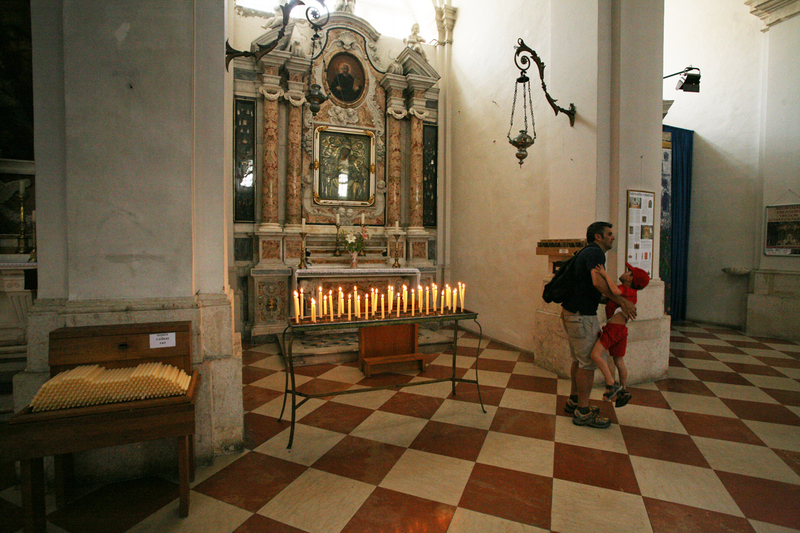 A small room opposite the ticket office holds the Memorial Room of the Dubrovnik Defenders. Covering the 12 months from October 1991 (although keen to point out that isolated attacks continued until the summer of 1995), the exhibition contains portraits of the 300 defenders and civilians who died during the siege and the tattered remnant of the Croatian flag that flew atop strategic Mount Srđ. The first thing any visitor should fork out for is entrance up to the City Walls. The main one is by the Pile Gate. 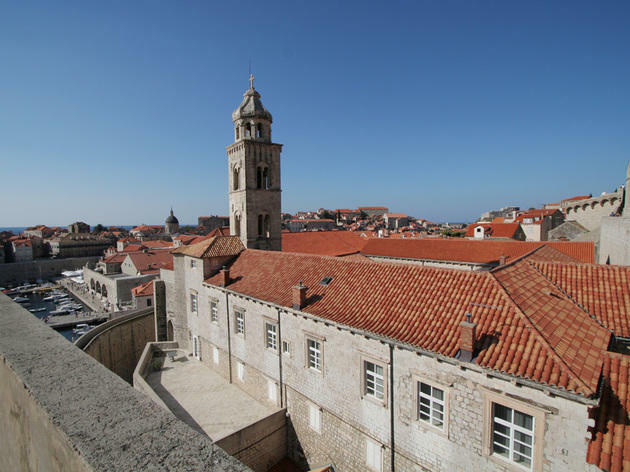 Arrowed up towards the Adriatic side, you're soon scaling staircases to allow you a sublime view of the blue, blue sea to one side and people's red-tiled roofs, terraces and washing lines to the other. There are a couple of cafes towards the harbour end, where you turn and head towards the thicker, inland-facing walls. You can also choose to head out here, near the Old Port. 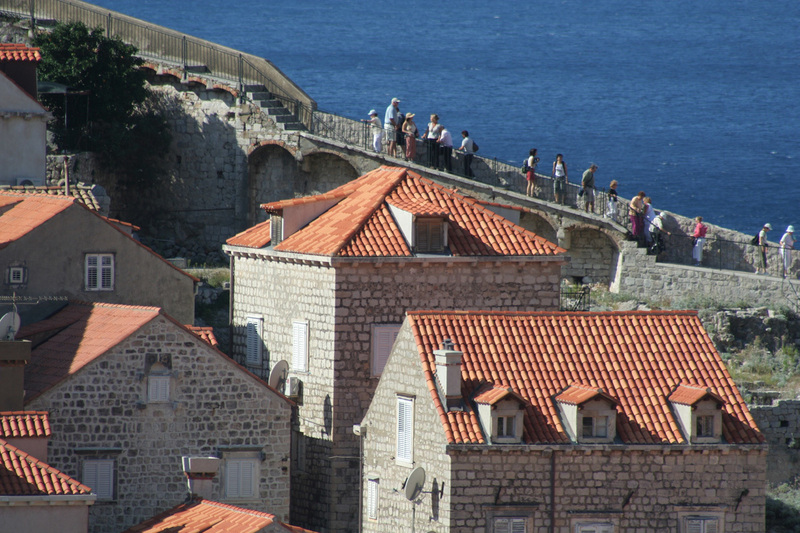 As well as giving you a perspective on Dubrovnik, you can see how intricate a job this was. Remember to pack a hat and sun cream. 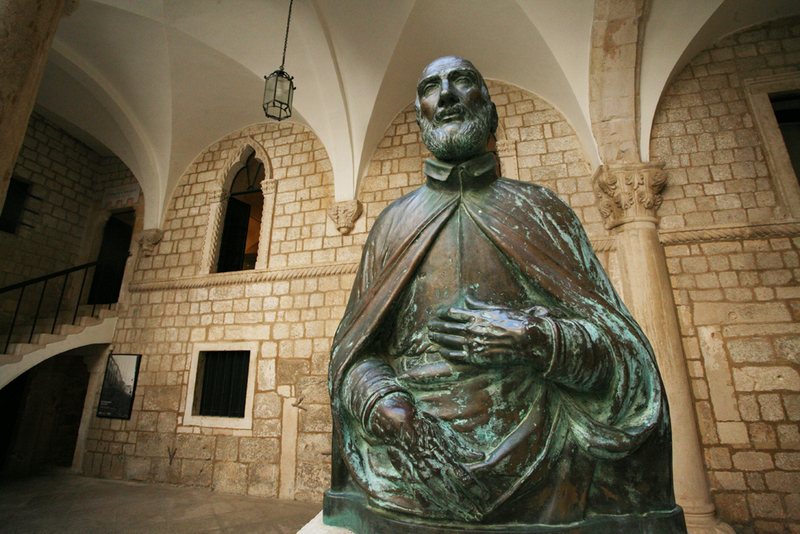 Between the Sponza Palace and the Ploče Gate, this monastery is best known for its late Gothic cloisters and late 15th-century paintings of the Dubrovnik School in the museum – in particular masterpieces by Nikola Božidarević, including his Our Lady with the Saints. On the walls of the monastery church are a beautiful wooden crucifix by Paolo Veneziano from 1358 and a painting by renowned fin-de-siècle artist Vlaho Bukovac from Cavtat, The Miracle of St Dominic. 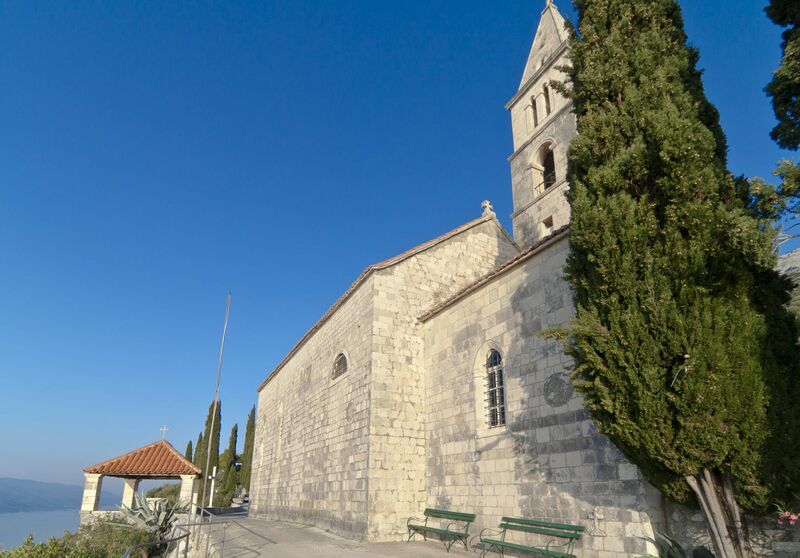 The original church, allegedly funded by Richard the Lionheart in recognition of the local hospitality when shipwrecked on Lokrum in the 1190s, was lost to the 1667 earthquake. In its place was built a somewhat bland, baroque affair, free but unenticing to walk around. The main draw is the treasury at one end, a somewhat grotesque collection of holy relics. The arm, skull and lower leg of patron St Blaise are kept in jewel-encrusted casings, another box contains one of Christ's nappies, and wood from the Holy Cross is incorporated into a finely crafted crucifix from the 16th century. Perhaps the most bizarre artefact is the creepy dish and jug designed as a gift for the Hungarian King Mátyás Corvinus, who died before he could receive it. 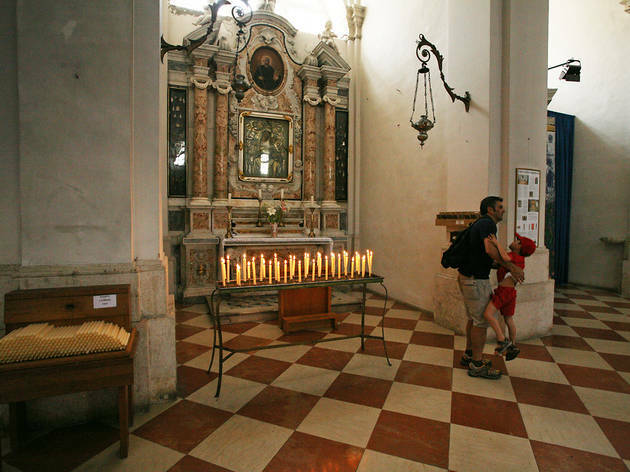 Situated in the old Jewish ghetto, Europe's second oldest synagogue is worth visiting for its fascinating two-room museum. There are ceremonial horns, prayer books and Torah pointers but the real treasure is the documentation. You can trace the arrival from Spain of the first registered Jewish citizen (in 1421), through full Jewish emancipation in 1808, to the seemingly innocent Croatian government official paper of the 1940s. Here in the shocking simplicity of black and white, we see the confiscation of Jewish property, the forced identification of Jewish stores, the restriction of movement and gatherings, and the compulsory wearing of badges and armbands. Croatia was a willing fascist ally, it had concentration camps and Jews were taken to them. This is a stark reminder of something that is little discussed these days. Occupying a stony ridge to the west of town, the Franciscan Monastery is a muscle-toning twenty-minute walk uphill from the Hotel Bellevue at the western end of town. It’s certainly worth the effort, offering stunning views of the Pelješac Channel from the gazebo-like structure that stands opposite the monastery entrance. Built in the late 15th century, the monastery church houses Our Lady of the Angels, an icon said to protect Orebić’s sailors. Homeward-bound captains used to blow their ships’ horns in salute when passing beneath the monastery – the monks responded by tolling their bell. 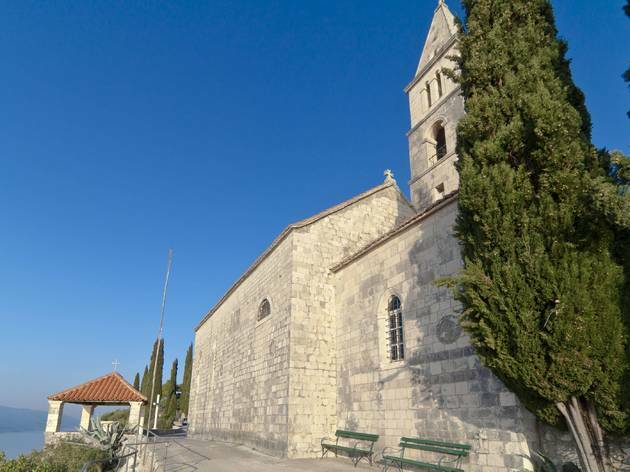 The monastery treasury displays baroque paintings, and a miracle-working crucifix from the island of Badija; while the nearby graveyard contains some extraordinary family tombs. 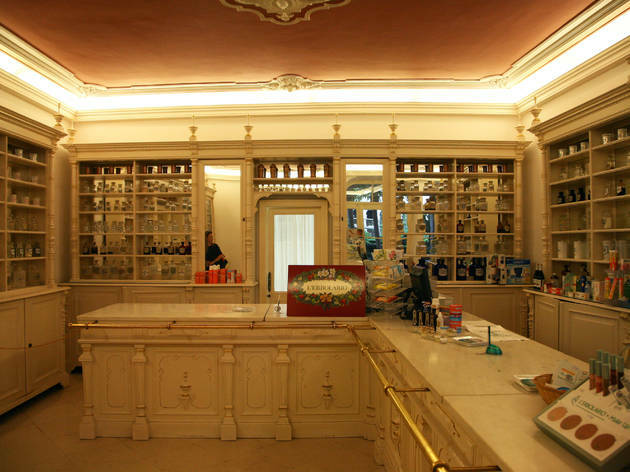 One of the oldest pharmacies in Europe is, quite remarkably, still a working chemist's for locals, and in the complex of the Franciscan Monastery where beautiful cloisters lead to the Old Pharmacy Museum by a pretty courtyard. There you'll find disturbingly large grinders and implements used by the medical profession in the Ragusan era.